I get 3 or 4 requests a week to take tourist birdwatching. I have been saying I don't do that and sending them on tours where they can see birds and not doing tours myself, I've been saying I don't have the time and this and that.....I'm changing. Today I did my first trip for a trial run, but with the crew and not live tourist. It was amazing. We left at 6:00, timed and measured everything to make it a routine trip returning at 9:00. (Birders are an early morning crowd). The trip is to Cayo Pajaros and Cayo Rosario, two small bird nesting islands in the back. Wow Wow Wow this old birder had a good time. 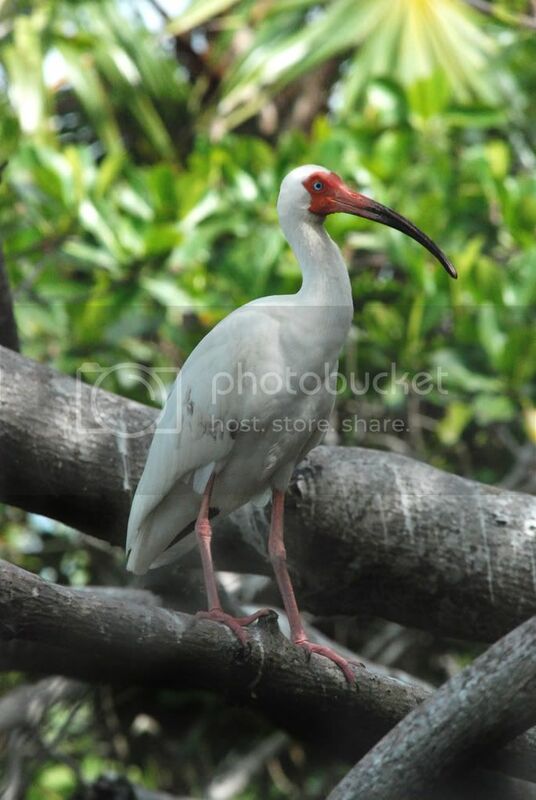 Oh yes this is a White Ibis. The little Islands have inter lagoons full of nesting birds and are packed with young. I'm lucky to be the Boss and can have the crew take me. I'm creating a regular run for the birdwatchers that visit. One day I will make it to Belize and take your birdwatching tour!